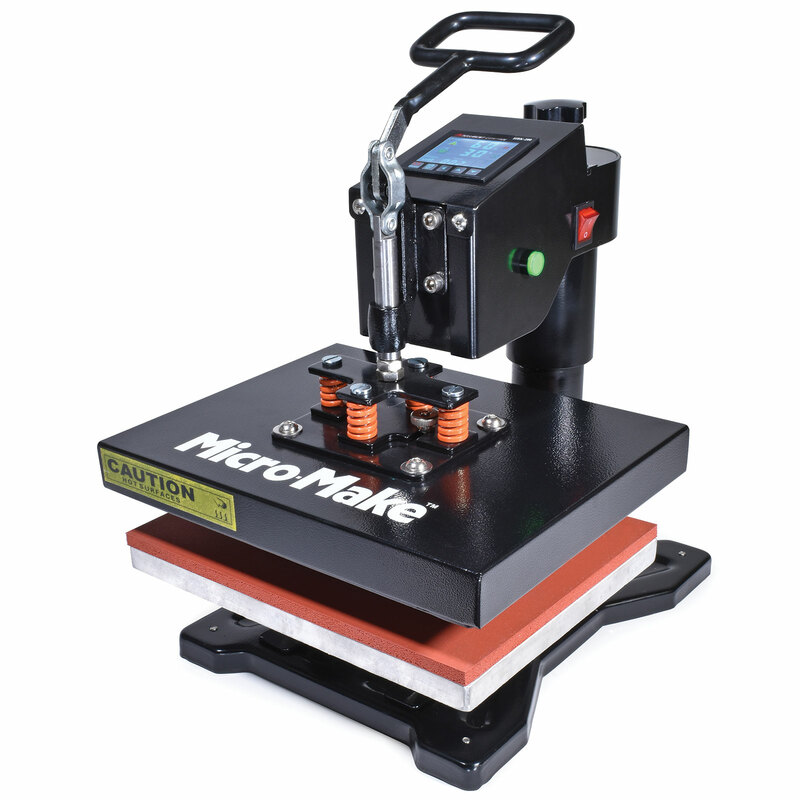 This Micro-Make Mini Heat Press is ideal for hobbyists and crafters. At only 17" x 16” x 15”, it takes up little space, is easy to transport and is very user-friendly. Works on a wide variety of flat items up to 1" thick, including fabric, metal, ceramic, wood and glass. Create your own custom t-shirts, mouse pads, tote-bags and many other unique, fun items. Excellent for train and model clubs! Features include 9" x 12" heated platform (425 degrees F max.) with swing-away arm, digital temperature control and countdown timer with alarm, silicone press pad, durable powder-coated finish, heating indicator light and more. Plugs into standard household outlet.